#Gun, Unveiled his new song ‘AQUARIUM’s Live Clip! Rapper #Gun has released a special live clip. 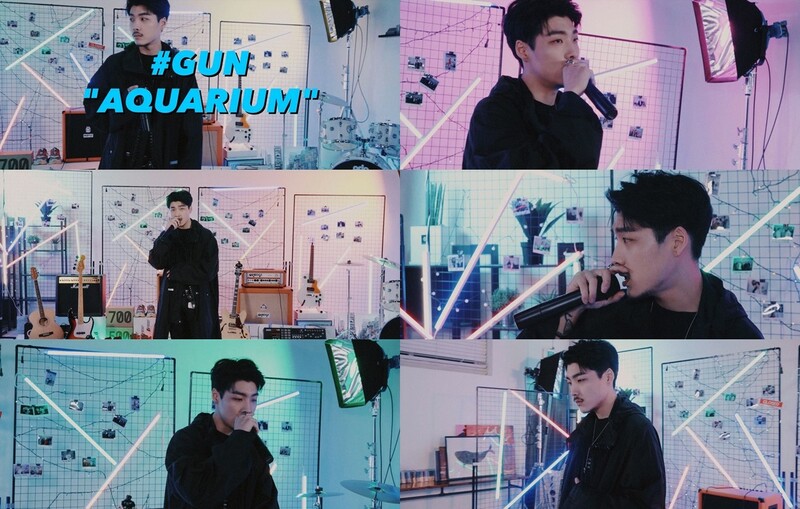 Recently #Gun release of the new digital single "AQUARIUM" caught the attention of music fans by releasing live clips featuring special performances. In the live clip, he shows a unique live performance along with all-black's stylish fashion in the background where the #Gun is sensibly decorated, overwhelming his eyes. With his more mature look, the show has a unique charisma, featuring a dreamy yet soft R&B, featuring attractive vocals and rapping. The new song "AQUARIUM" is a self-composed song written and composed by #Gun under producer Tsuya. #Gun caught the eye with a special live clip once again, receiving high public and critics' attention for playing various colors of music with his dreamy emotional vocals and intense rapping through the single. #Gun has recently released a new single, "AQUARIUM," and has been active in a variety of musical activities.